Grants and foundation funding can be a great way to get a musical project off the ground. They can help you cover the cost of a recording, develop and rehearse a project, go on tour, or fly to a festival. Be careful to limit your expectations, though! Funding of this kind will rarely be a substitute for other sources of revenue for musicians — live performance fees, merchandise sales, and for a lucky few, licensing. Think of them instead like a bonus. It’s supplementary funding for your project or band… and can be incredibly useful. The first important consideration that you’ll need to come to terms with is the fact that grant and foundation funding opportunities vary widely from place to place. Availability will depend on the local organizations and government agencies in your city, state/province, and country, and on the time of year. The scale and scope of these programs vary wildly as well, meaning that some readers will find that they have far more opportunities than others. As a result, it impossible to give advice on specific programs that applies to all readers. There are, however, some fundamentally useful approaches that apply no matter where you live. Here are six steps to help you find the opportunities in your area, apply, and make the most of your relationships with funders. Step 1 — Research the programs available in your area. Start with Google, and focusing on your city, state or province, and country, compile as comprehensive a list as you can of every grant and funding opportunity in your area. If you’re in school, they may already have lists and tools available to help your search (and they may offer grants, themselves!). For bands with strong relationships within their “scene,” it can be helpful to ask other artists and groups what grants they’ve applied to and where they go to find information. With a bit of patience and persistence it won’t take long to find what is out there. Funders typically list their programs online, along with detailed eligibility criteria and the information you’ll need to submit an application. Carefully read the eligibility requirements and make sure you qualify. It’s tedious but necessary and there is no way around it. For example, there is no point in applying to a program that is only available to music school graduates if you’re not a graduate, or St. Louis-based artists when you live in California. Reading the eligibility criteria will allow you to separate the programs that don’t apply to you from the ones for which you qualify. If you find one but the deadline has passed, put together a spreadsheet with the grant name, the deadline, criteria, and any other pertinent information. It will help you keep track of things throughout the year. Step 2 — Arrange meetings with granting agents. Once you have a list of programs that look like a good fit, reach out to a granting agent from the program in order to confirm that you are in fact eligible, and ask what you can do to make your application stand out. If you can’t meet the agent in person, a Skype or phone call will work just fine. Believe me, they will actually help you! It’s their job. During your meeting, come prepared to be able to summarize your musical project and your goals clearly and concisely, and ask the agent if this program is a good match. Come in with a few questions prepared. And then let the agent do the talking and listen to them carefully. Take notes on what they say, especially if they make suggestions on what you should or shouldn’t do. So often when artists don’t get accepted for grants, it’s because they did something in the application incorrectly. Since a large number of grants are offered by governmental institutions and organizations, they tend to do things by the book. Ask your agent if you can stay in contact with them in case you have questions and if they will preview your application before you submit. This can be a great way to get some truly relevant feedback. 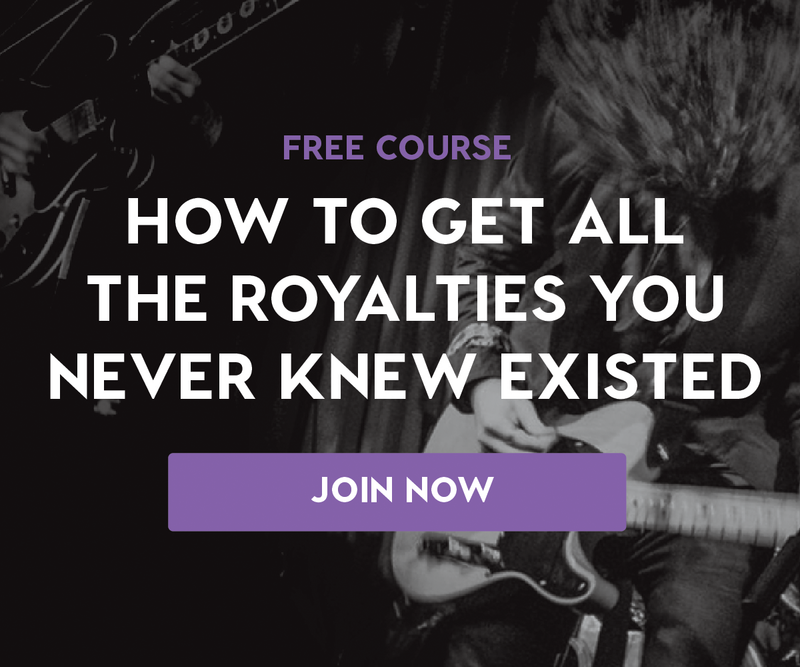 + Read more on Flypaper: Have you checked out our Entrepreneurship in Music series yet? It’s the best introduction to the most innovative and creative companies in music today. Step 3 — Prepare your application. This is where a real work begins. Applications are generally fairly short, so you’ll need be able to say a lot with a few words. Your answers should convince funders that you have an exciting, unique project and that you have a practical plan to make it happen. Address each item in the assessment criteria specifically, since this is what your application is being graded against. Remember that grants are extremely competitive. It is not unusual for 80% of applications to be turned down for a program, so don’t leave your application to the last minute. Something as simple as submitting a few days before the deadline might put your application on the top of the pile. Know yourself and be ready to ask for help. If you know you aren’t particularly well organized, or that you aren’t a strong writer, recruit an ally to help review your application. Many talented musicians have little practice writing professionally, so never feel badly about reaching out. Look for someone you trust, who gets what you do musically and who has the necessary skills. You can offer to pay your ally with a percentage from the grant (approx. 10% is regarded as fair) and if they do a good job you can consider offering them a position as an ongoing fundraiser for your projects. + Learn more: Up your band’s professional presence with Soundfly’s free course on DIY band leadership, Building a Better Band. Step 4 — Submit your application. Make sure you submit all required support material, including recordings, videos, or press clippings with your grant application. Strong applications will be denied if some of the support material is missing. Proving to the organization that you are professional is part of the process. Make sure you know what these requirements are in advance so that you can prepare convincing documentation and don’t have to scramble to assemble them at the last minute. Congratulations! But the work doesn’t end with the check. When you receive a grant you will usually need to send a report after the project has been completed. It is important to complete the report promptly and thoroughly so that you will continue to be eligible for further grants. Artists often have a lot on their plates during a project and after it wraps up, so writing a report assessing the details of its execution falls pretty low on the priority list. This is, however, one of the more important aspects of the grant. The report is an opportunity to build the trust of your funder. Why did the organization fund you and your project? They want to make an impact; they are looking to gain data, both qualitative and quantitative, on the music industry from an artist’s perspective; and they want to learn how to grant more effectively in future. Any information you can provide on how many people are interacting with your art, how much does it cost to bring a concept to life, how wide is the scope of your project, and what are the features and demographics of your audience are all useful for an organization going forward. Also, always keep your application, correspondence, and project-related receipts on file since you will probably need to access them over time. You may, for instance, be asked to produce documentation if you are audited. You may also want to reuse successful language on future applications. The more information you have to refer back to, the better. Step 6 – Think Long Term. Think about establishing a long-term relationship with your funders. Funders usually have a suite of funding programs on different levels that you can move through as your career develops. This can be a great way to access funds for your project as your needs evolve over time. Even if the application process was a lot of work and you only got a small amount out of it, it can be well worth your time to continue to submit new applications to a funder. Remember that they will be assessing to see whether or not you are able to deliver what you promised in your application. If they see that they can trust you to successfully bring projects to completion, they may be more inclined to increase their support over time. Peter Burton is the executive director of the Suoni Per Il Popolo, a Montréal-based experimental music festival that is dedicated to presenting exploratory forms of music and sound from around the world. The festival is known for its energized and enthusiastic audiences and programs over 100 concerts annually. Over the last ten years, Burton has submitted hundreds of grant and foundation funding applications on behalf of the festival as well as in collaboration with many other local, national, and international organizations and artists.